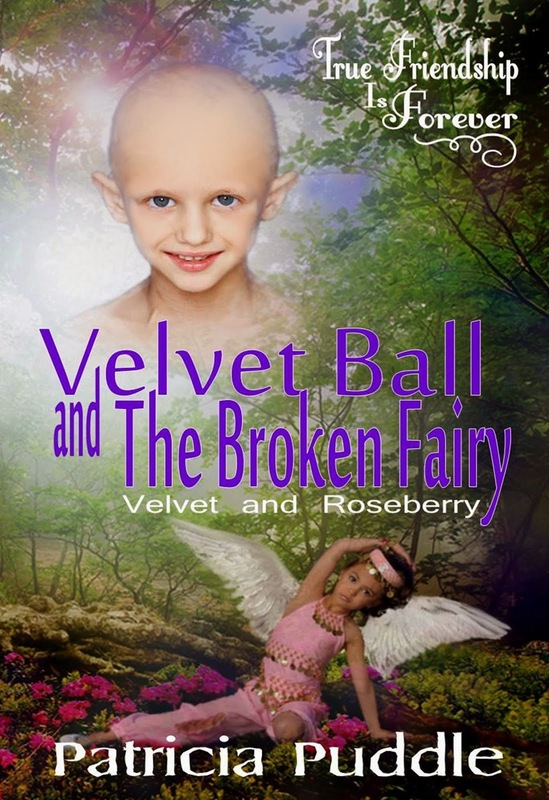 Here is my second completed manuscript, hopefully is will be snapped up by an agent or publisher soon. A wildlife calendar? Molly Gumnut’s eyes popped wide open. Animals are her most favourite things in the whole world. She stopped fiddling with her pencil case and listened to the teacher. 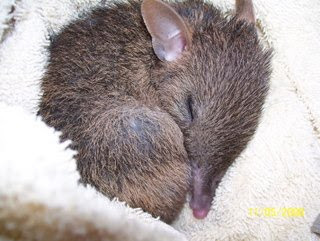 Miss Button said the best photo of a native animal will go on the front page. Molly wants to win and decides to take the best picture ever. She'll just have to keep an eye on Angela Bloomfield. The meanest girl in third grade will do just about anything to get Molly sent to the principal’s office again. While searching for critters to photograph for the school calendar, Molly rescues a baby bandicoot from the claws of her neighbour’s cat. She takes him home to bandage his wounds, but her father says it's illegal to keep native animals as pets. 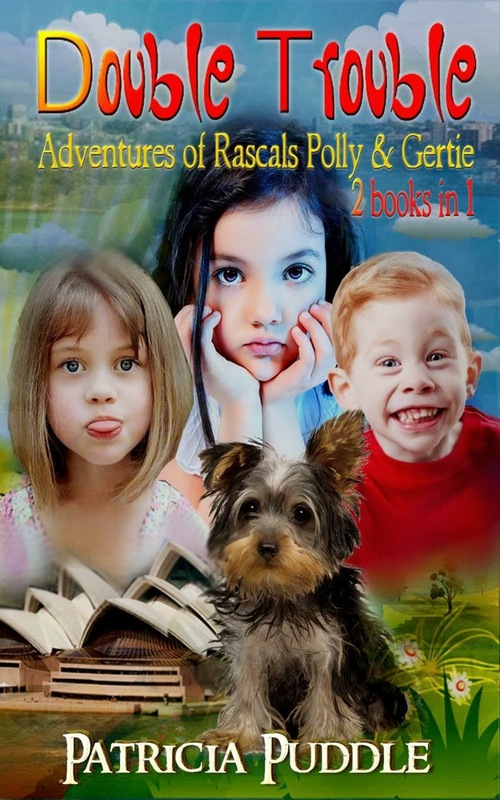 Frustrated, Molly has no choice but to hand him over to her grandmother, a member of a wildlife rescue. Molly names the critter Furble and promises to protect him no matter what the cost. Grandma plans to release him back to his own territory when his wounds have healed, but that’s where the big mean cat lives. Molly can’t let Furble go back there again and she won't keep her opinion to herself. she doesn't care if she gets into trouble for yelling at the neighbour and disobeying her parents. She's kidnapping Furble and finding him a safer home. Will Molly's plan work or has she put Furble in more danger? Or will Furble be released back to the garden with Tiddles, the tormenting cat? Excerpts from this story are located below the pictures. Please feel free to leave a comment or contact me if you would like more information on this series. 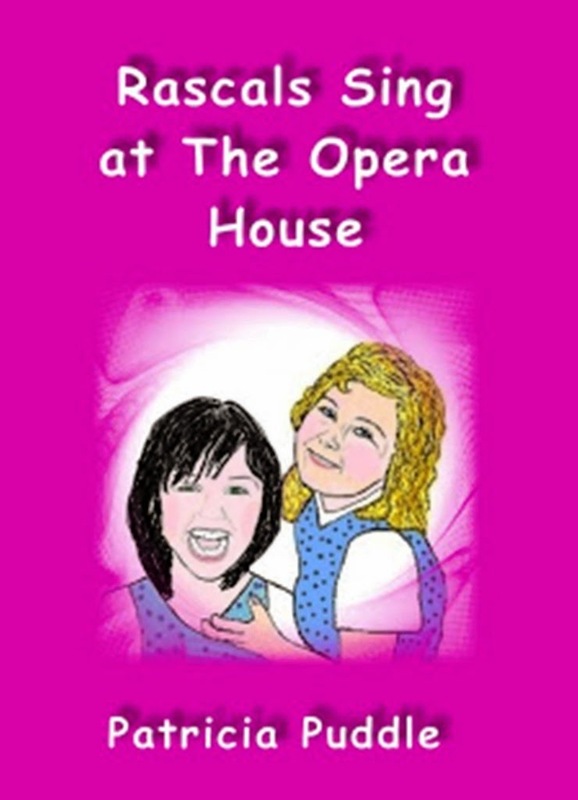 ‘ADVENTURES OF MOLLY MAVIS GUMNUT’ books are junior fiction aimed at confident readers aged seven to eleven. All the stories are set in Australia, in a rural village called Tumblewood. 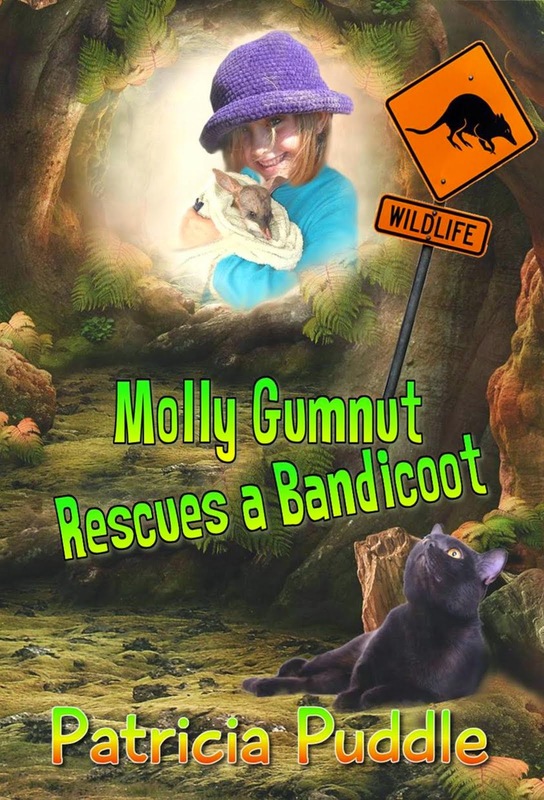 MOLLY GUMNUT RESCUES A BANDICOOT is the second completed book in the series. Molly got down on her knees and crawled along the muddy bank. 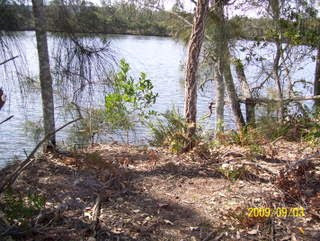 She rummaged through broken branches and tree hollows, searching for lizards and frogs. "Uh - oh, here comes trouble." 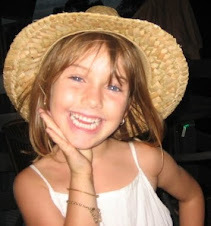 Lara jerked her head towards the dirt road. "Who is it?" Molly scratched her nose with her muddy fingers and peered through the trees. "Oh, poop in your underpants. Why did she have to turn up?" A high pitched whistling sound seemed to come from the wooly ball. Then it moved. Molly's eyes popped wide open. It wasn't a ball - it had tiny legs and big brown eyes. Molly unlatched the gate and ran into Mrs Popperwell's yard. She waved her arms at the cat. "Shoo, get away, Tiddles." Tiddles flattened his ears and hissed. He left the furry little critter on the grass and bolted under the house. The small brown animal had pointy big ears and pink feet. 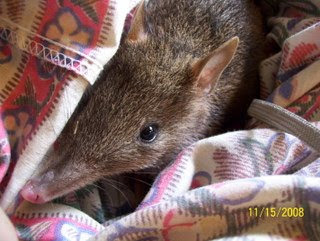 But Molly had never seen a bush rat with such a long, pointed nose before. Its chocolate brown eyes looked up in fear as it scratched at the ground with its paws. Molly threw her backpack on the grass and dropped to her knees. Ignoring the pain from the prickly, bindi-eyed weed, she reached out and grabbed the critter before it ran away. Holding it gently, she gasped. "Oh, you poor little thing, you're hurt." Blood oozed from the wounds on its neck and back. THe pictures and post looks great Trish! I cant wait to read the next adventure in Molly Mavis Gumnuts world! Thank you for visiting my blog, Wanita. I'm glad that you enjoyed the pictures, and thank you for your kind words. I'm already working hard on the next book. Yay! This looks great! I love how you put in the pictures along with the excerpts. I can't wait to see what kind of trouble Molly gets in now. Thanks, Holly. I'm glad you like the pictures. Don't worry, Molly gets into lots of trouble. Hehe, that is funny, Angela. It was you, who I got the link to CC from, not directly, but in your posts somewhere. I use a different user name at CC because Trish was already taken. AW & CC are both great. Where would I be without them?